The USTA recently announced junior players selected to attend the USTA Player Development Davis Cup Camp being held Thursday, January 31st through Sunday, February 3rd in Jacksonville, Florida. Scottsdale's Nathan Ponwith was one of seven junior players chosen to attend. 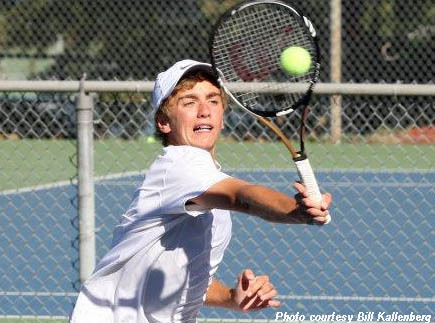 The 14-year-old Ponwith, who is the USTA Southwest's top-ranked 16-year-old and the No. 10 ranked junior in the country in Boys' 16s, has also been training periodically for much of the last couple of years down in Boca Raton, Fla. with the USTA Player Development Group. This camp is being held in conjunction with the 2013 Davis Cup tie against Brazil, which starts Friday, Feb. 1. Players will get to watch the matches, in addition to training throughout the weekend. USTA National Coaches, Diego Moyano and Eric Nuñez will conduct the training camp for players born in 1997 & 1998.